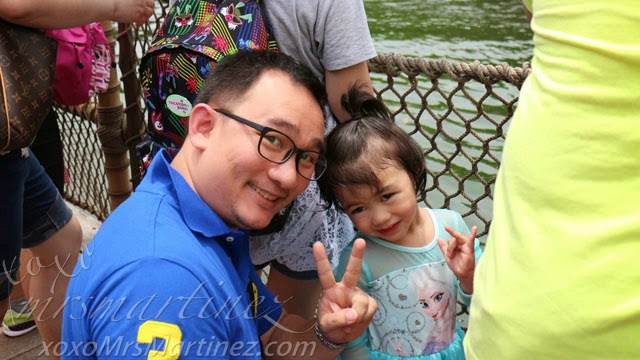 It's been weeks since we arrived from Hong Kong but my little princess still talks about Disneyland and its princesses every single day and I can't blame her. I remember my first visit at this enchanting place not so long ago, it was so surreal- a magical moment, one you cannot easily forget. 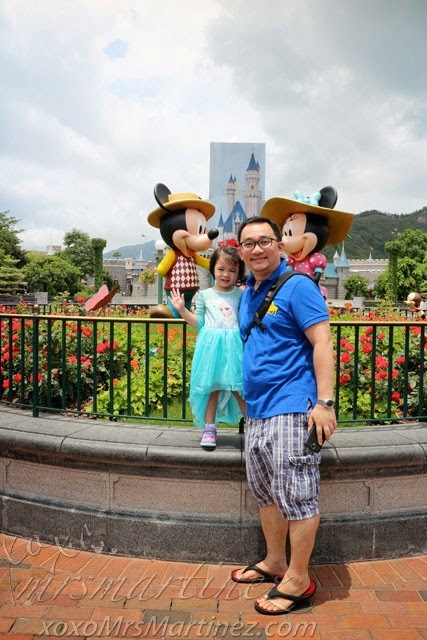 We visited Hong Kong Disneyland twice during our trip earlier this month. Unlike our first visit days before, we already know where to go and what to look for. 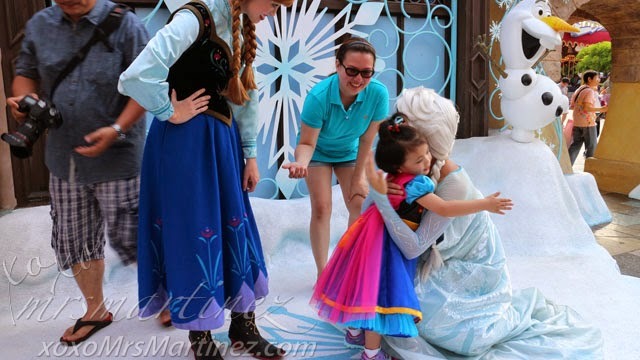 First on our agenda was to find the person handing out Frozen Passes for the afternoon Meet & Greet with Queen Elsa and my daughter's favorite Princess, Anna. 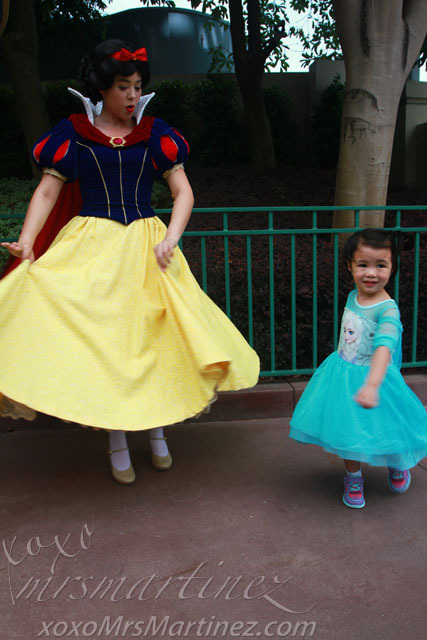 We got sidetracked when we were approached by a Disney gentleman asking if our little girl wanted to join the Frozen Processional happening at 11am. Of course, we said yes! 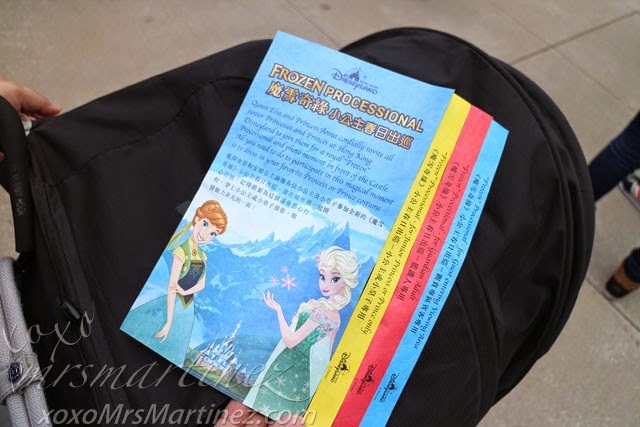 After a short briefing, we started to look for the Disney representative handing out Frozen Passes inside the Sleeping Beauty Castle located at Fantasyland. We scored 3 "Golden" passes even though we only showed 2 adult paying tickets. 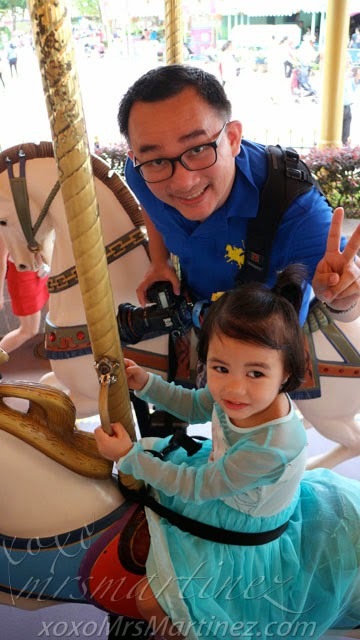 Since my daughter is two years old, her entrance is still free of charge. 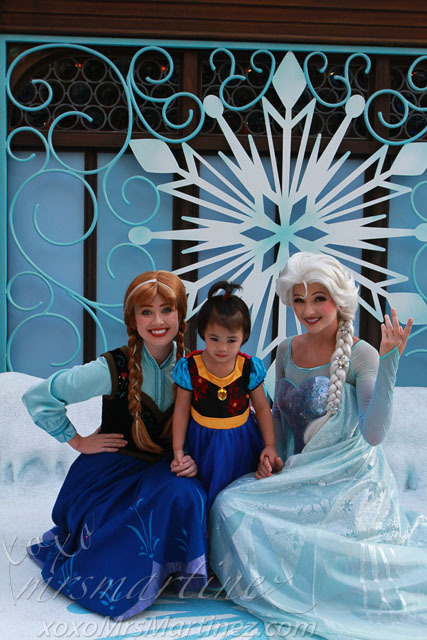 Frozen Passes are limited, distributed only in the morning right after the opening hours of Hong Kong Disneyland. 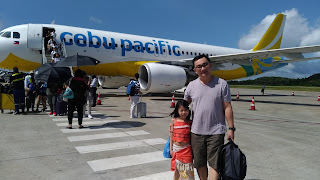 We also looked for the one in charge for the Princess Parade so our little girl can watch the Flights of Fantasy Parade at the "Very Important Princess" (VIP) section. I also wanted to see her once again perform a short number in front of the crowd. 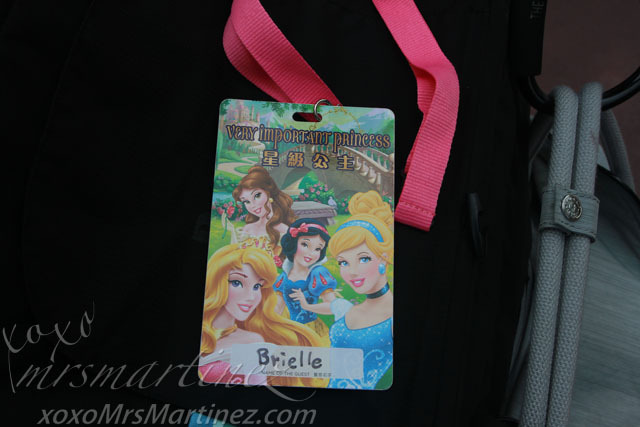 At first, the Disney representative was hesitant to give my daughter a VIP pass. 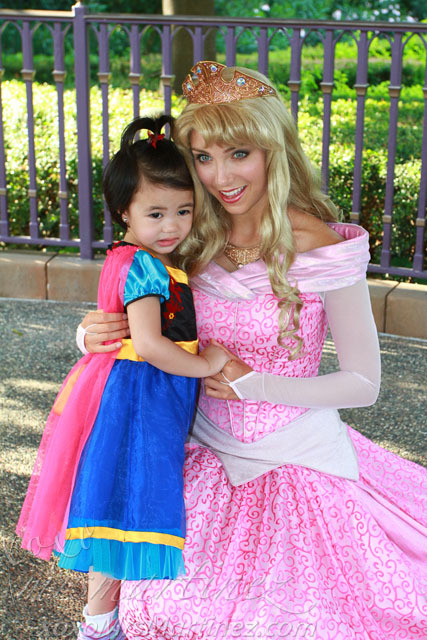 She said that my daughter was not in a princess gown and told me to buy a new set of costume in one of their stores. 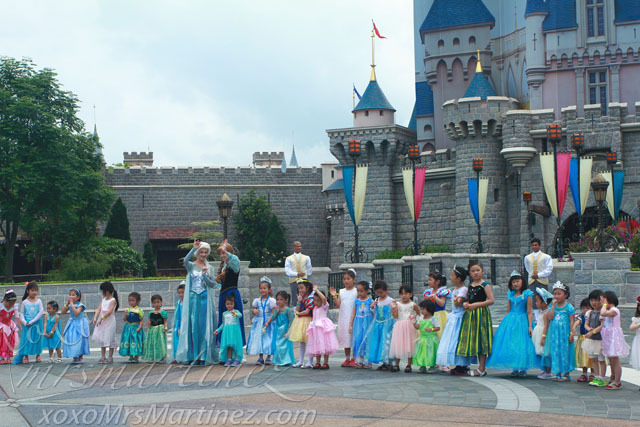 That's about HK$ 600-800 per costume if I am not mistaken... ack! Being the stage mom that I am, I came very much prepared. That, plus the fact that I just can't take no for an answer. She was taken aback when I showed her another costume. 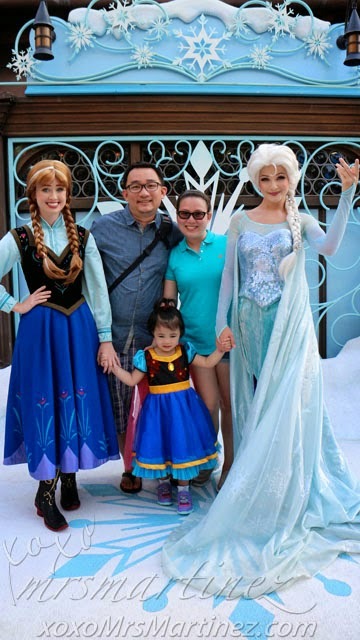 This time, it's Princess Anna's! 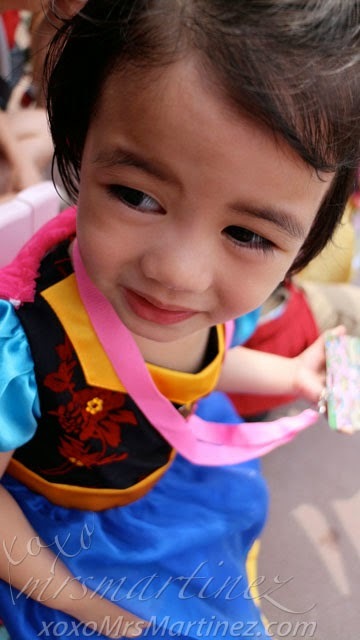 Honestly, she looked completely shocked and issued a pass with my daughter's name right away... yey! Meanwhile, we put the remaining time before the 11 am Frozen Procession to good use. 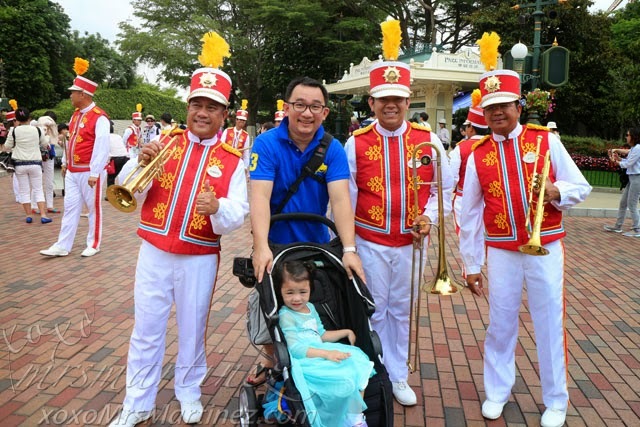 We watched the Hong Kong Disneyland Band perform on Main Street, USA. We were in luck, we saw Cinderella and quickly made it to the queue, just in time before she takes a break. 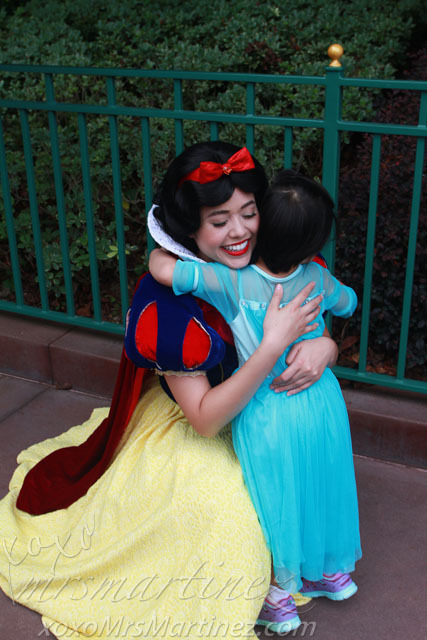 She was so sweet, she gave my daughter a warm hug. 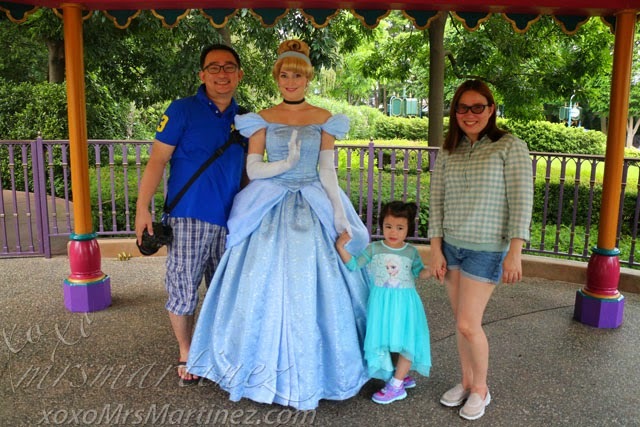 After that encounter, my little girl told me that she loves Cinderella... awww! They danced and twirled around. 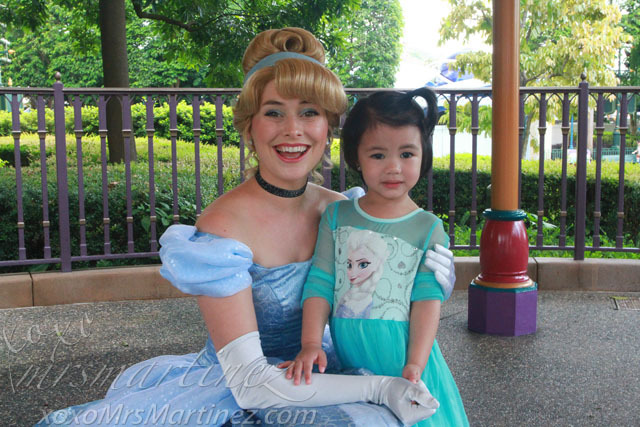 My daughter was so happy and giddy as you can see in the photos above. 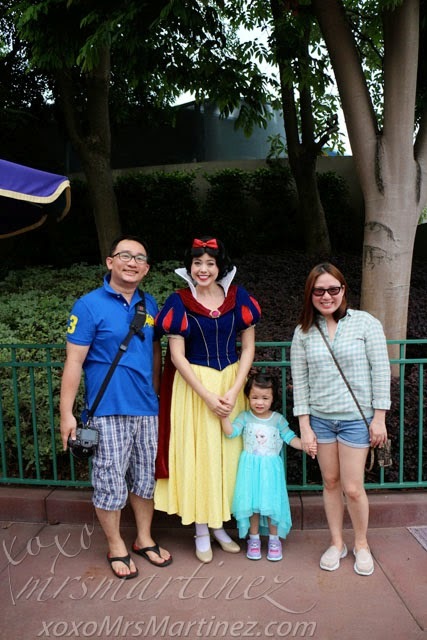 At exactly 11am, together with a dozen or so little princesses all garbed in their favorite princess' costume, our little darling went out of the Sleeping Beauty Castle. 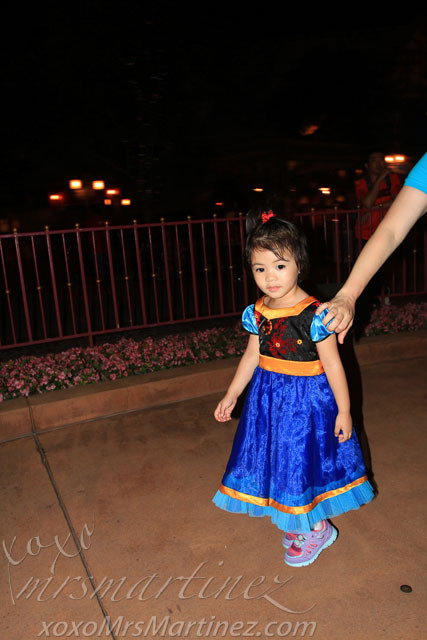 She was in her Queen Elsa dress. It was bought in Takashimaya Mall, Singapore. 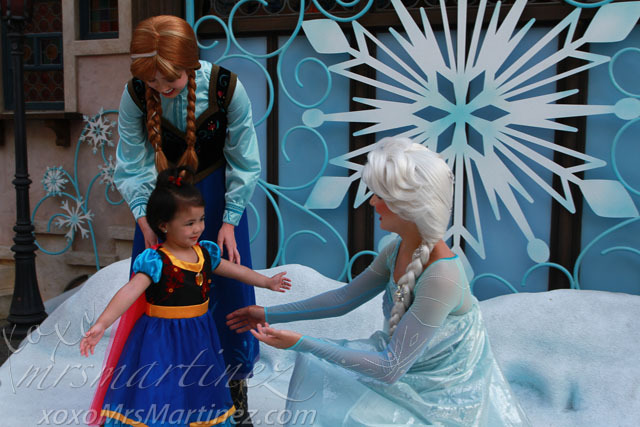 look who is holding my daughter's hand? It's Princess Anna! 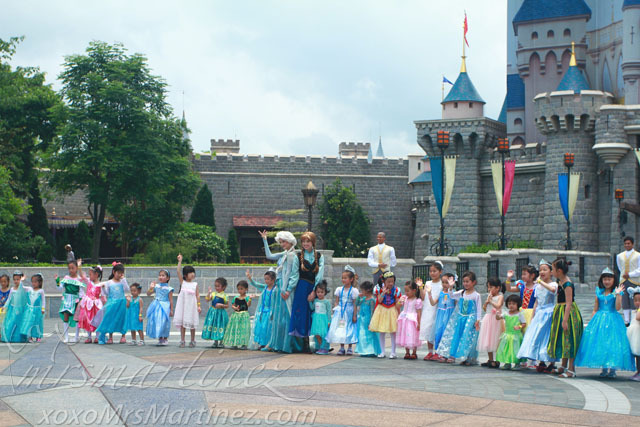 The Frozen Processional is a short program that lasts for about 15 minutes. 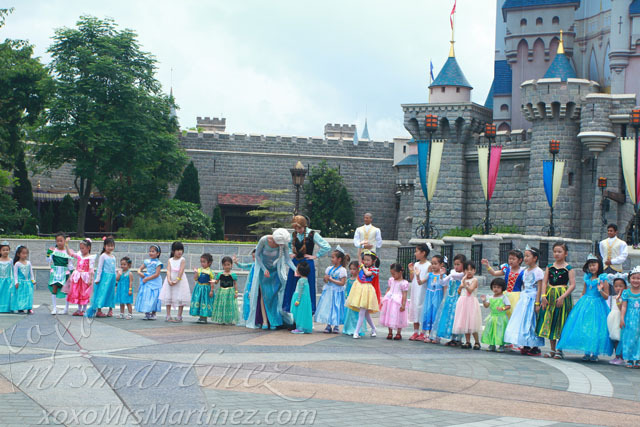 It is where Queen Elsa and Princess Anna lead the little princes, well, mostly princesses out of the castle, wave hello, pose for some photos and finally, wave goodbye. The waiting time is longer but it was all worth it! Just seeing my daughter's delighted face is enough to melt my heart. 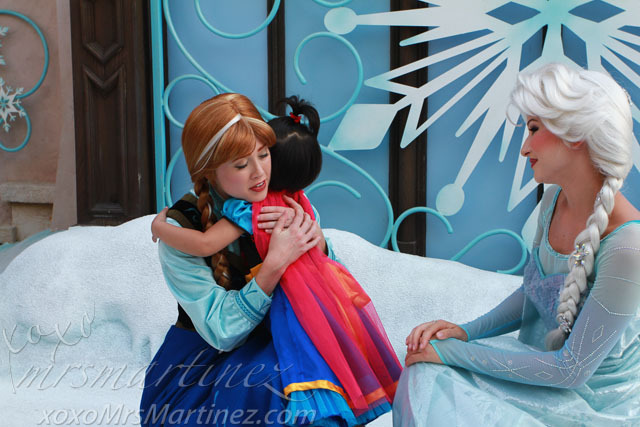 Elsa even talked to her... yey! 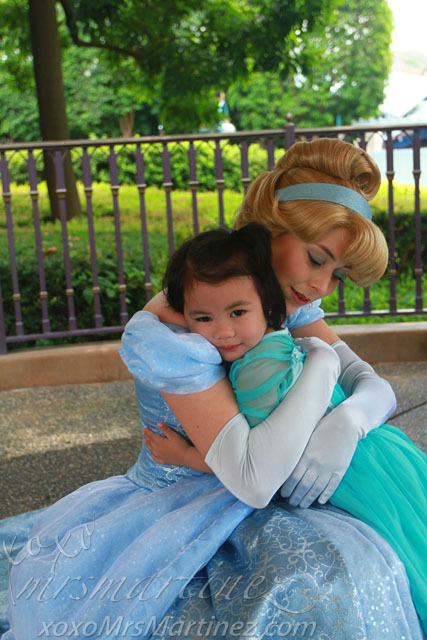 I can't believe my daughter did not even cry when I left her at the back of the castle where only the participants were allowed to stay. 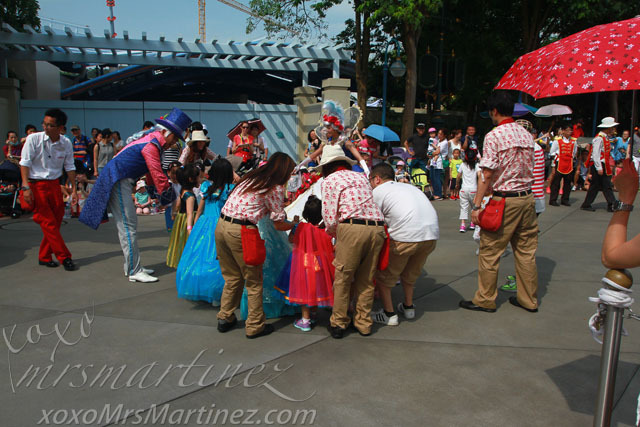 The parents/guardians were requested to stay at the cordoned waiting area in front of the castle. I am so proud of my daughter. She was well-behaved and followed exactly what they were supposed to do- smile and wave at the crowd. After the Frozen Processional, we still have enough time before lunch to take a photo at the Mickey & Minnie statue found in front of the Sleeping Beauty Castle. 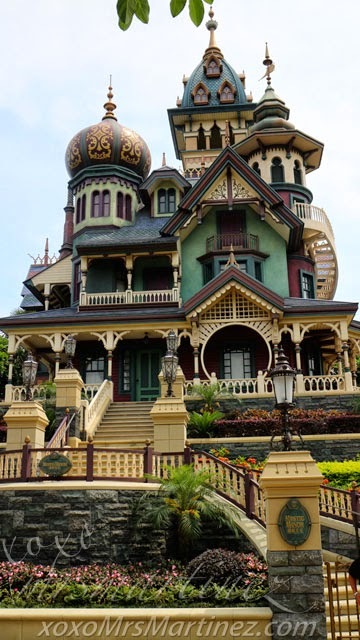 After lunch at Grizzly Gulch, we went to see Tarzan's Treehouse in Adventureland, rode the horses found in the Cinderella Carousel and then headed to the Mystic Manor. I don't know if a Fast Pass is available for Mystic Manor but luckily the line was fast moving so we don't need one. 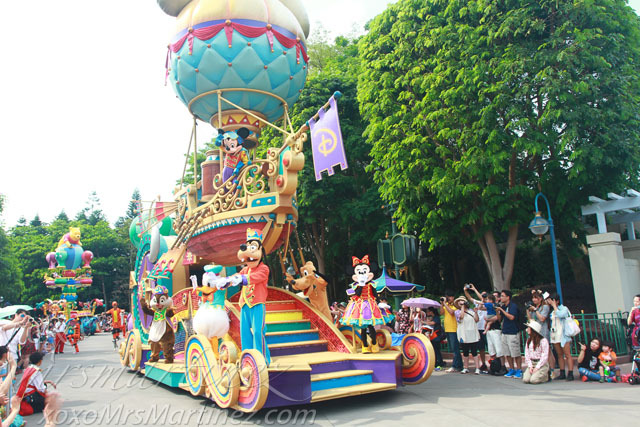 Flights of Fantasy with Mickey, Minnie, Goofy, Pluto & Chip & Dale! 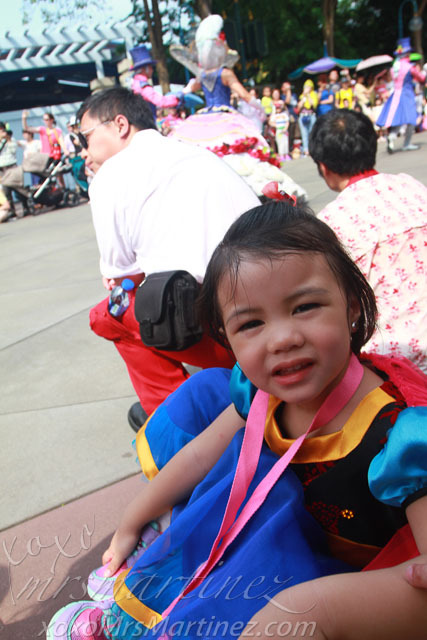 Finally at 3pm, my daughter was all smiles as the Flights of Fantasy Parade approached the "Very Important Princess" section. Can you spot my little girl? 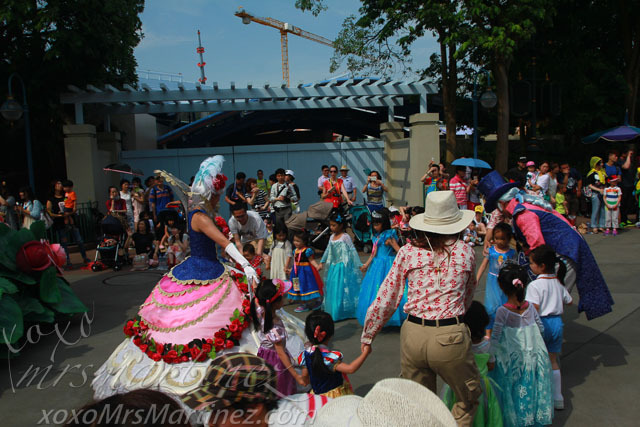 the dance number was just like "Ring Around The Rosy"
When the parade was done, we rushed to the area where Frozen meet-and-greet with Queen Elsa and Princess Anna was located. I think we were the last in line so we had a little bit more time than the rest. 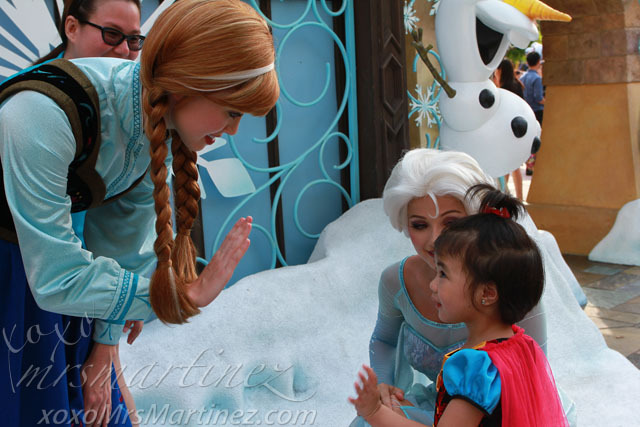 My daughter appeared shy when she met the two Frozen characters. She was speechless. 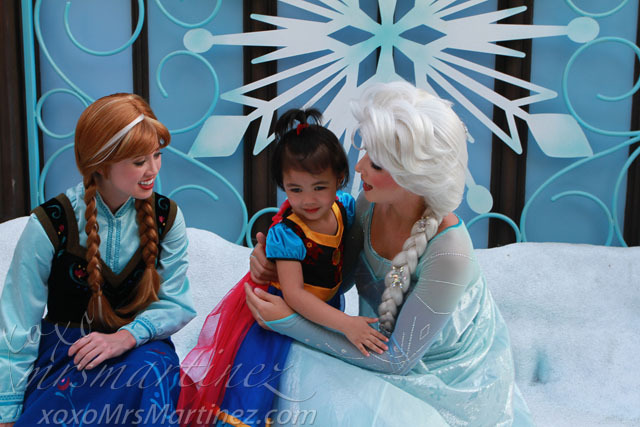 She must be so amazed that she got to meet the characters that she had only seen on TV. 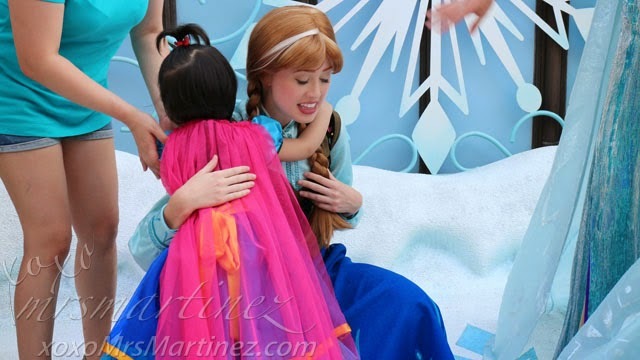 When it was time to say her goodbyes, she would not let go from their embrace, especially with Anna because she is her favorite princess.... awww! 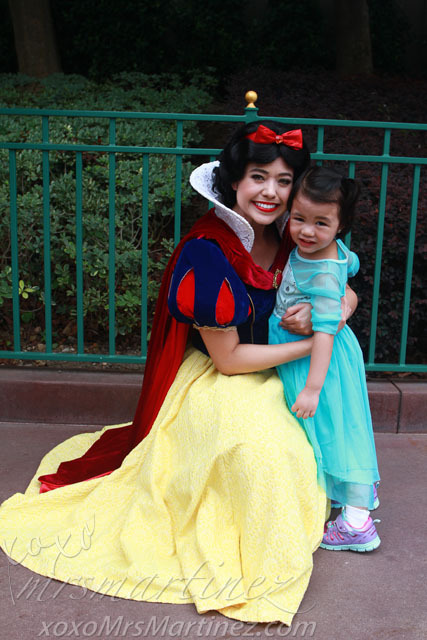 Sleeping Beauty, who she met days before, also remembered my daughter and even complemented my daughter for her new dress! 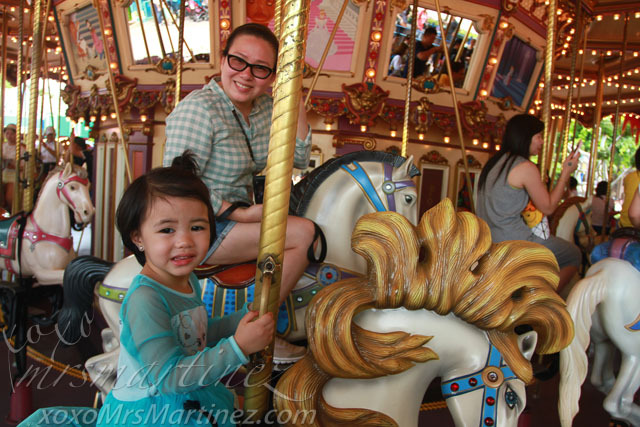 Aside from The Many Adventures of Winnie The Pooh and Festival Of The Lion King, my daughter also enjoyed Dumbo The Flying Elephant ride. 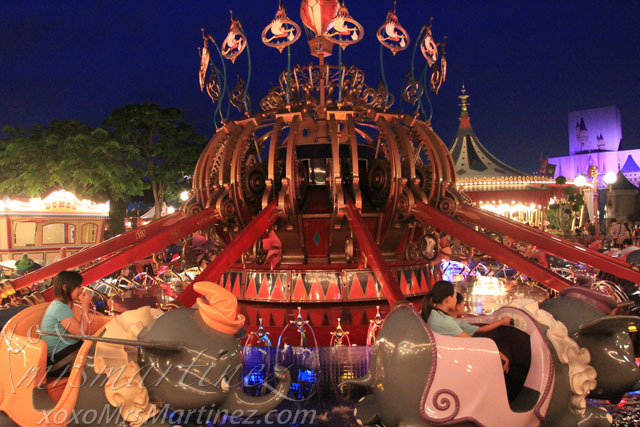 You can control Dumbo to fly high or low all throughout the ride. It was a fun ride even I enjoyed! We enjoyed our two-day park visit. We have not met Ariel, Belle, Alice, Tinkerbelle so we have 4 more reasons to go back... tee hee! 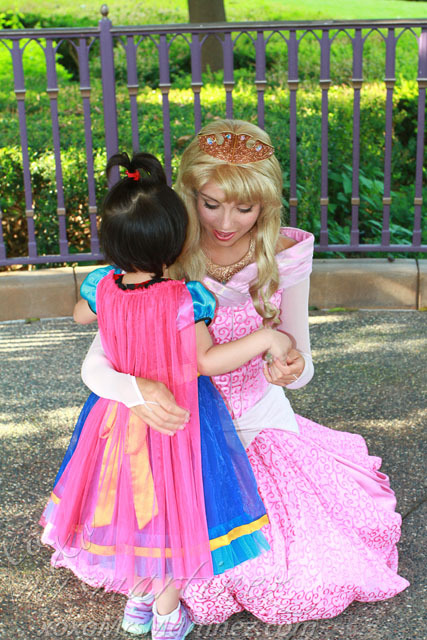 Another reason to go back is the Bibbidi Bobbidi Boutique- a magical beauty salon where little girls can get princess and pop star makeovers. I can't wait for the next summer break! 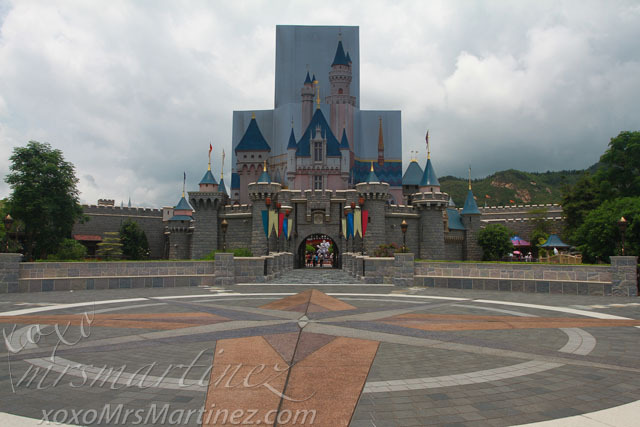 You can read about more about our Hong Kong Disneyland Adventure Day 1 here. Ocean Park Adventure here and my new baby, Bottega Veneta Brunito Intrecciato Gros Grain Messenger Bag. Check out Ovolo West Kowloon Hotel.